Portfolios & Guidelines | Office of the Chief Information Officer, U.Va. A project can only be associated with one portfolio. Projects can and will transition between the CIO Portfolio and Team-specific portfolios as warranted, by improved clarity &/or scope clarifications during the project lifecycle. The color coded portfolios are either fully or partially managed within the CIO Area PPM tool. 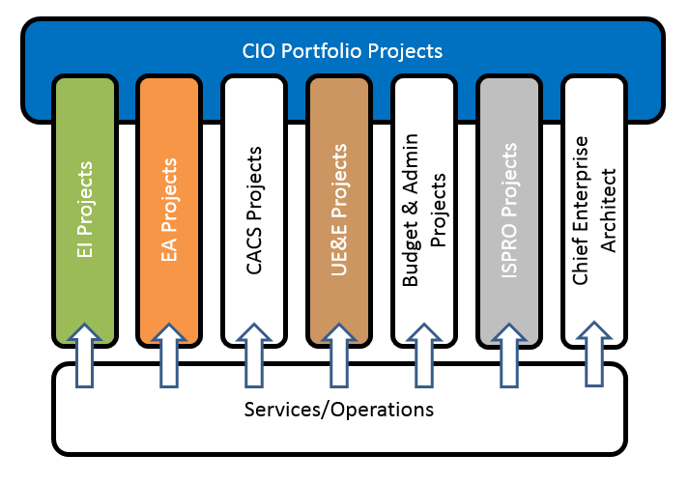 The CIO Portfolio contains strategic projects as defined by one or more of the criteria below.